I've long wanted to start a new feature where I spotlight some of my favourite brands — be they fashion, beauty, decor, or otherwise-based — but I wasn't quite sure what I wanted to call it or how to best put it together. All I knew is that I wanted it to be completely non-sponsored and focused only on brands I truly love. So during one particularly sleepless night, the name miraculously came to me: On brand. Cheesy, sure, but I liked the double entendre and ultimately it just felt right, so here we are. 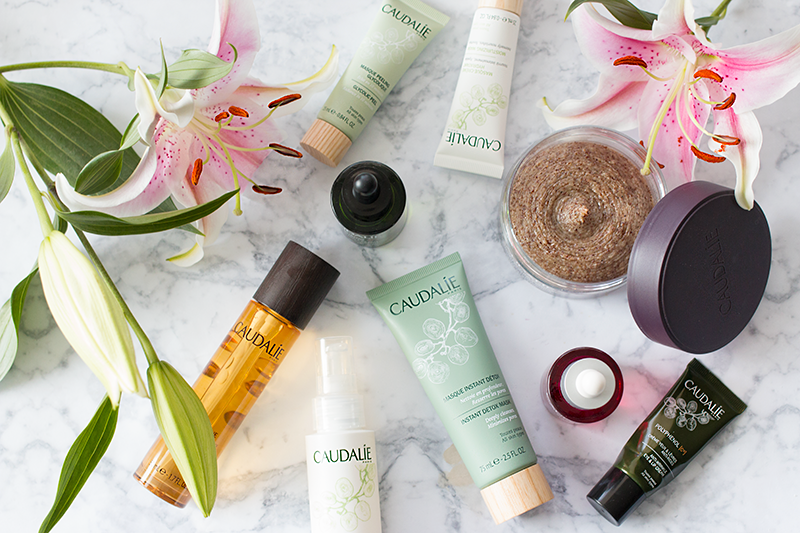 Ready and rearing to go, and apparently unapologetic about my Caudalie-hoarding tendancies. The choice to kick things off with them was easy, partly because I have more of their beauty products in my stash than any other brand, and partly because I could legitimately only use this line and be happy... which is saying something. 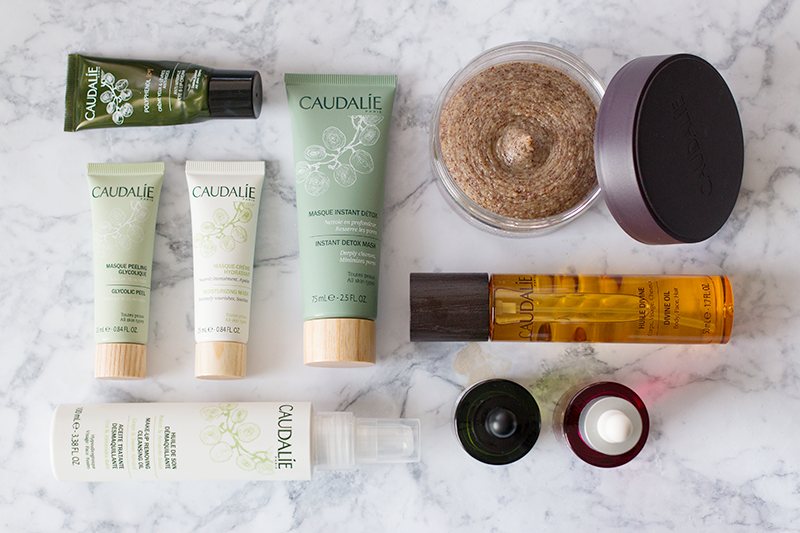 So with that in mind, let's dive into the wonderful world of French skincare, shall we? First, a little background on the company. It was founded in 1995 by Mathilde Thomas and her husband, Bertrand, in Bordeaux, France, where the couple was inspired by the skin-enhancing properties of the vines and grapes that surrounded them. The products that they went on to create are based on natural and environmentally-friendly active ingredients, like organic grape-seed oil and polyphenols, and are completely void of any harsh chemicals, like parabens and pthalates. The couple see themselves as environmental stewards, and as such, they only use recycled and recyclable materials in their packaging, have 12 recycling stations set up in their manufacturing facility to reduce waste and their consumption of raw materials, they reuse wastewater from their spa to water their gardens, and they don't test on animals, except in China where the government requires any products sold there to be animal-tested (so take that last point with a grain of salt). But let's get down to the products themselves. 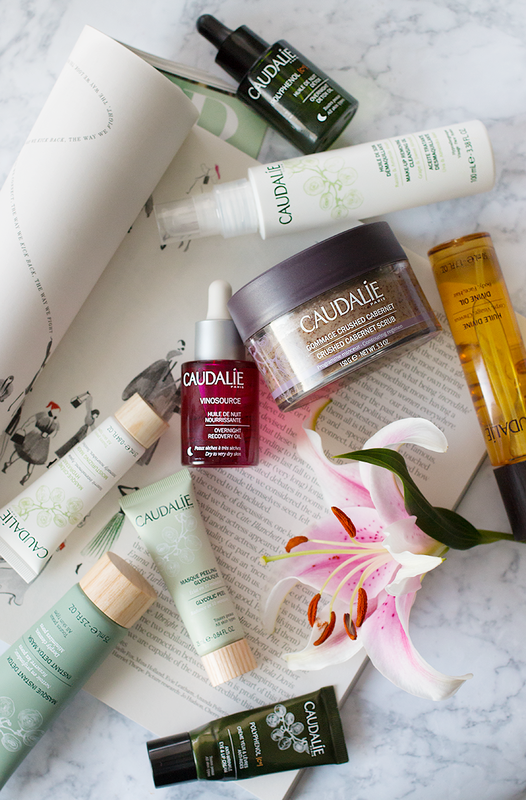 If I'm being completely honest, I have yet to meet a Caudalie product that I haven't liked; from the Divine Oil that I slather all over my face and body during the cold winter months, to their Polyphenol range that has literally changed the face of my face (the eye cream is amazing), their products really agree with my skin. But some things to keep in mind while reading this — I have combination skin with dry patches, I still get the occasional breakout (largely hormonal), and my skin is happiest when my skincare routine is switched up periodically. In my experience, and in accordance with my skin type, I really like these products and would recommend trying them out if you're looking for something new, because 1) they seem to really work (for me, at least), and 2) they're not crazy expensive (but they're not super cheap, either). I've heard good things about this caudalie kullananlar product. Going on my wish list now!